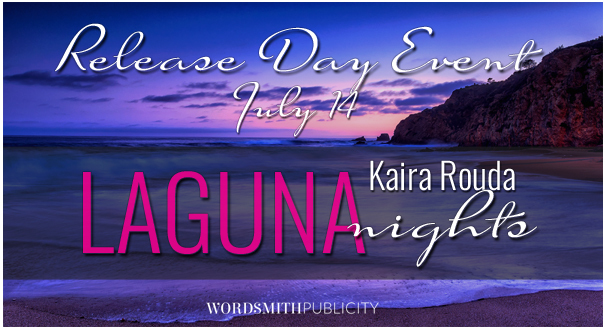 Today is the release day for Laguna Nights by Kaira Rouda. This is the first book in her new series. 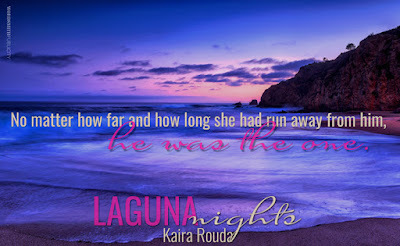 Madison Alcott left her Laguna Beach childhood in the past as soon as she could, never imagining she’d be forced to return. 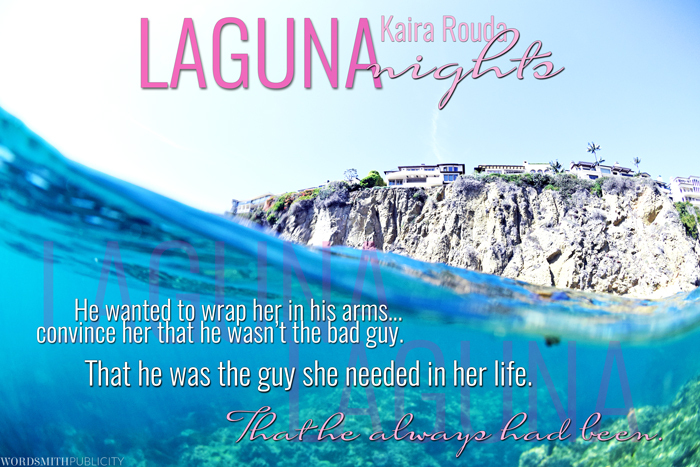 Caring for her ill mother and holding down a high-pressure position at the best resort in town, Madison’s life is as good as it could ever be in Laguna Beach. And blissfully, nobody knows her as Holly anymore, the name she used on television. 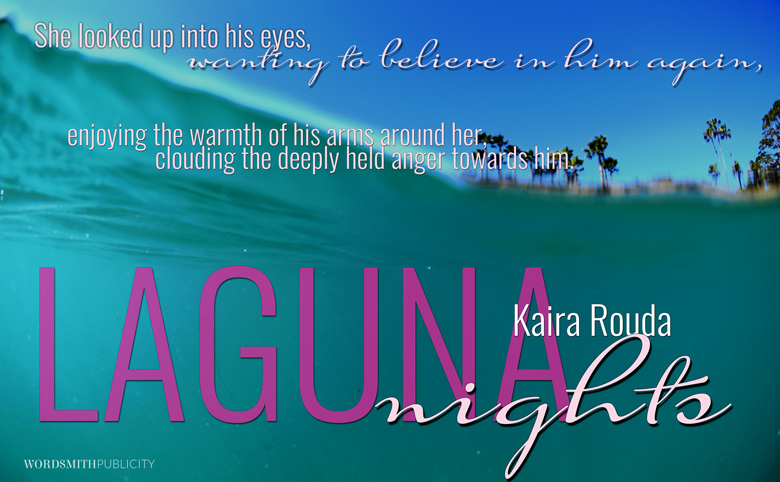 Everything changes when her high school boyfriend appears in the lobby. 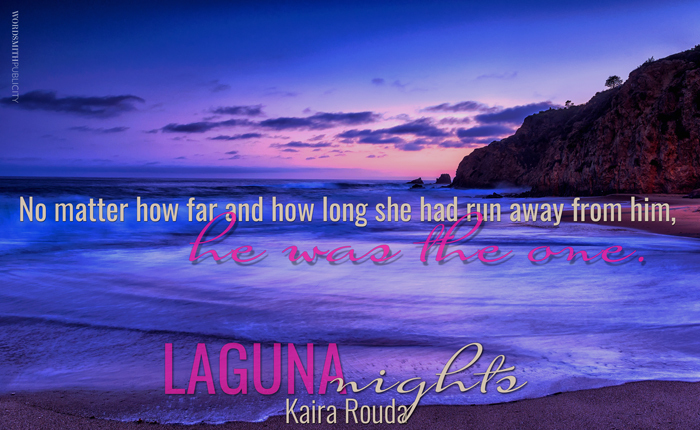 He was the reason she’d left Laguna in the first place when he humiliated her on national television. Josh Welsh’s star has been dimming ever since he shot to fame as the high school heartthrob on the reality TV series Laguna Nights. Hoping to reignite his career, he agreed to host a travel show, with the first episode shooting in his old hometown of Laguna Beach. 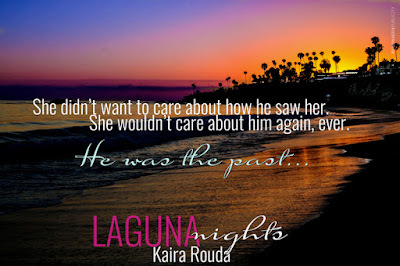 Of all the negative scenarios associated with filming in Laguna, Josh hadn’t calculated a run-in with Madison, or that the same deep connection he felt for her in high school would still be there. 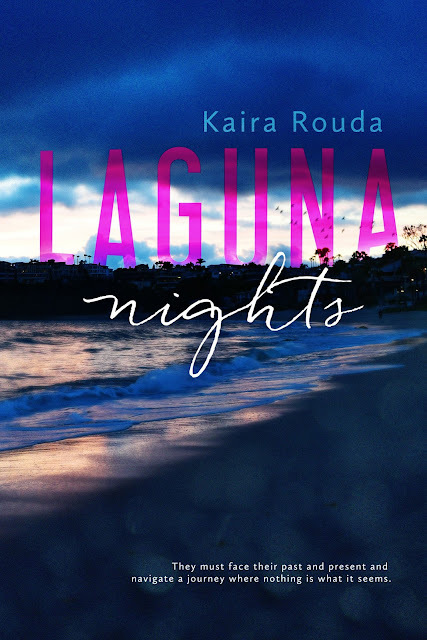 Madison and Josh’s reality TV relationship exploded years ago but when the new series forces them together, they must face Laguna Nights past and present. Kaira Rouda lives in Southern California with her husband and four almost-grown kids, and is at work on her next novel. 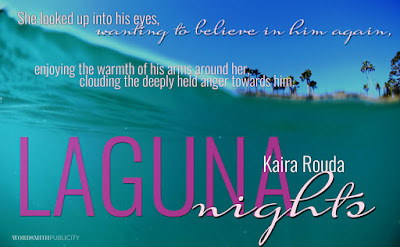 Connect with her on Twitter, @KairaRouda, and on Facebook at Kaira Rouda Books. For more about Kaira and her books, please visit wwww.KairaRouda.com. 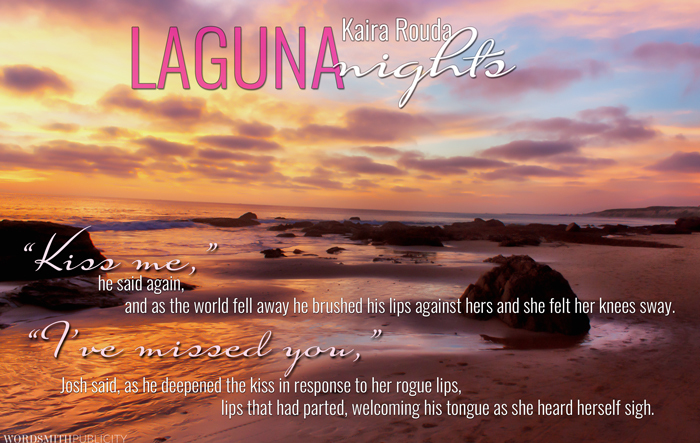 He kissed her on the cheek and made her feel light-headed. Truth be told, she had taken extra time getting ready this morning, wearing her favorite black pencil skirt, a crisp white blouse and a bold gold necklace. Her blonde hair was pulled back into a low ponytail, and her favorite diamond studs glistened in her earlobes. She felt pretty, pulled together. And, as usual, Josh looked hot. “It’s part of my mysterious persona. The formerly famous actor and his Ray Bans. Gotta keep them on. 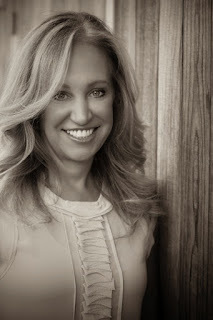 Come on inside with me and I’ll take them off,” he said motioning toward the tent. “Oh, thanks but I’m working,” Madison said, though they both knew the set up was finished, her job done. “Better at what,” Madison said, feeling the electricity pulsing between them. “Everything,” Josh said, his voice low. She swallowed. “I can only stay for a minute,” she said and led him inside, entering the tent first so he wouldn’t see her flushed cheeks. They used to be better together, the perfect complement, yin and yang. That was true, she thought. Roger pulled his glasses to the tip of his nose and stared at Madison. “Of course you are. Lovely. You’ve grown up well, my dear. In fact, we’re going to host a reunion of sorts, on the new show, and you must appear,” Roger said. His enthusiasm and compliments seemed sincere, even as Madison took a step back. Madison smiled and hurried out of the tent, avoiding Josh’s sad eyes. She needed to protect herself from these people, she knew. Especially Josh. She’d grown up, gotten smart. She was successful and her life was on track. 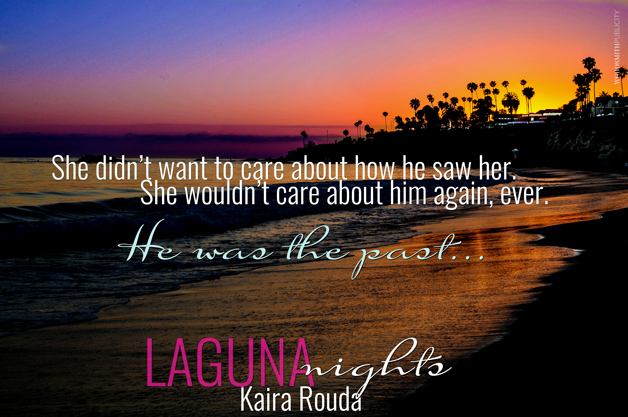 The last thing she needed was her first love, her true love, messing it all up. And she was very aware that Hollywood could mess people up better than almost anything, anyplace, any business in the world.